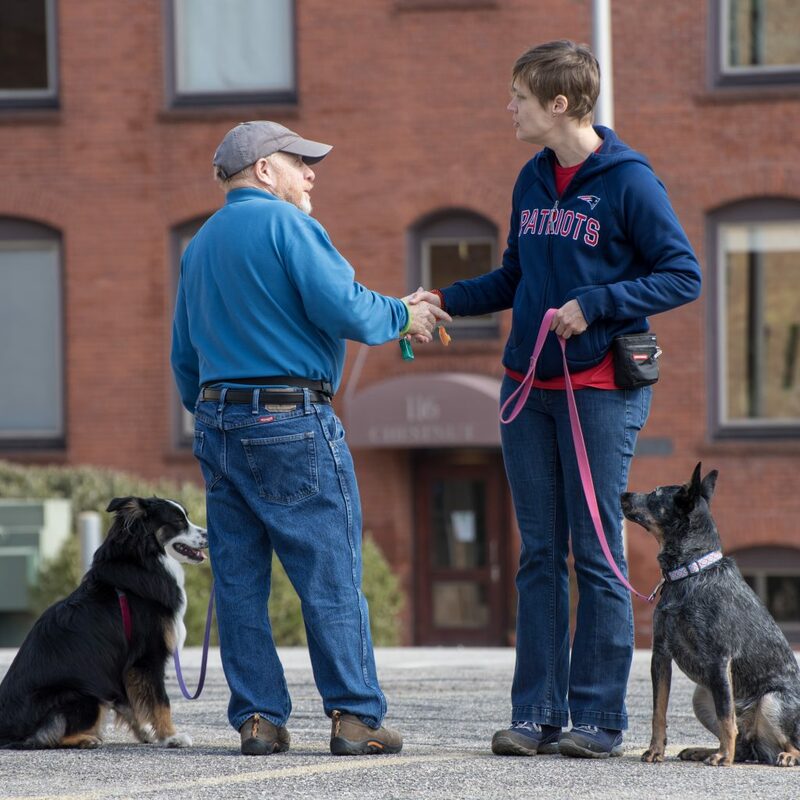 Over the years, Katherine has published a variety of videos and blog posts about all sorts of dog training topics. Here is a collection of those resources for you to follow along with as you raise your new dog or puppy. Enjoy! Click to join our Facebook group for dog training tips & other advice! "How to Teach Self Control Around Food" - This foundation game will teach your dog to stop mugging you for food. It reduces begging and is a critical part of teaching your dog not to "countersurf." "How to Train Your Dog to Get On & Off of Furniture" - If your dog pretends to be deaf when you ask her to get off the couch, this video is for you. Using our foundation behavior of hand targeting, this is a stress-free way to cue your dog to get off of the furniture rather than grabbing her by the collar. This game teaches your dog when she IS allowed to get on the furniture, as well as when she needs to get off. "How to Play Tug with Your Dog or Puppy" - Tug of war is a great game, but it's crucial to establish some ground rules so the game doesn't get out of hand. We love using tug to establish self-control, patience, and a great "stay" behavior! Leave It! - Or Don't?